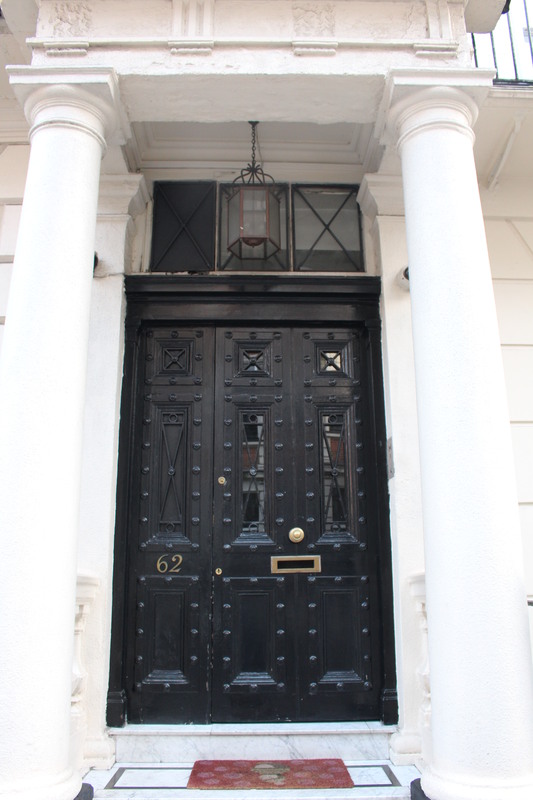 Shiny and black: Doors on London’s Park Street | Oh, the Places We See . . .
A passerby checks his phone in front of an elegant London doorway. When you travel, walking the neighborhood near your hotel is one way to get a feel for how people really live. 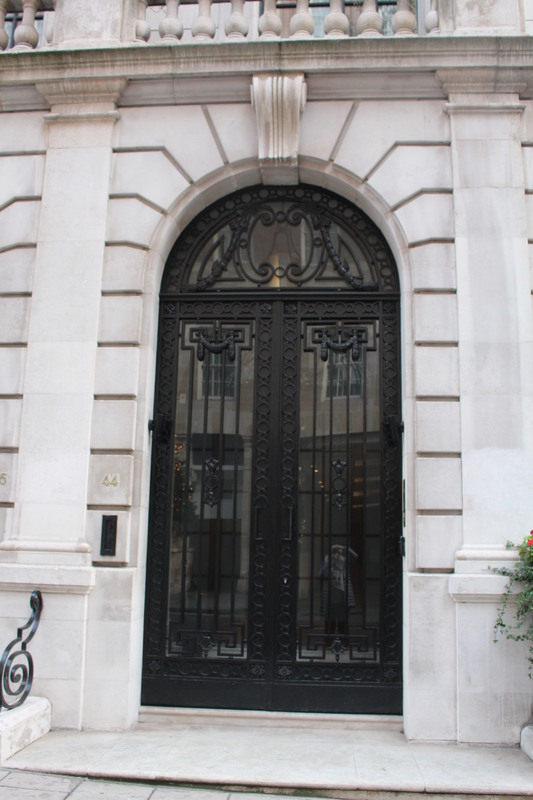 And, if doors are any indication of the people inside the homes in the Mayfair section of London, we could expect to meet some very British residents, comfortable in their formality. Who wouldn’t want to turn the knob, walk in, and see what’s behind any one of these doors? Light from windows makes this door glow. 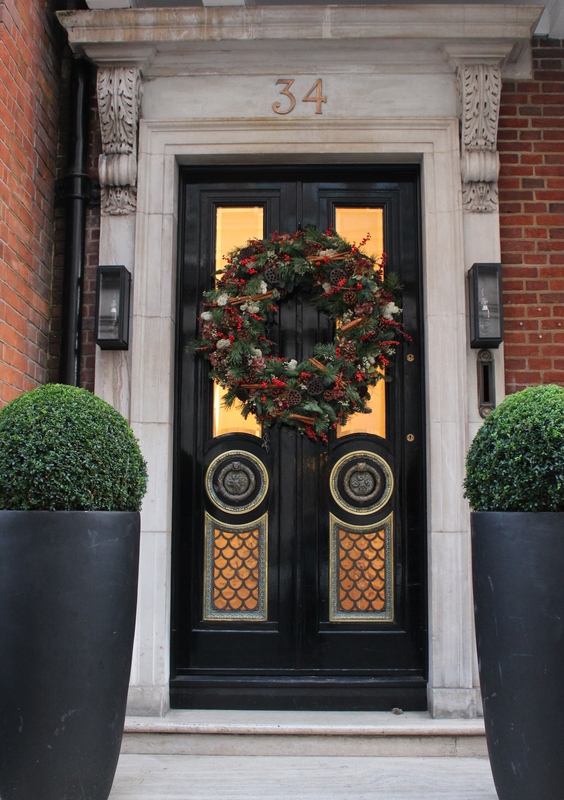 Brass adornments and topiaries set this door apart from the others. 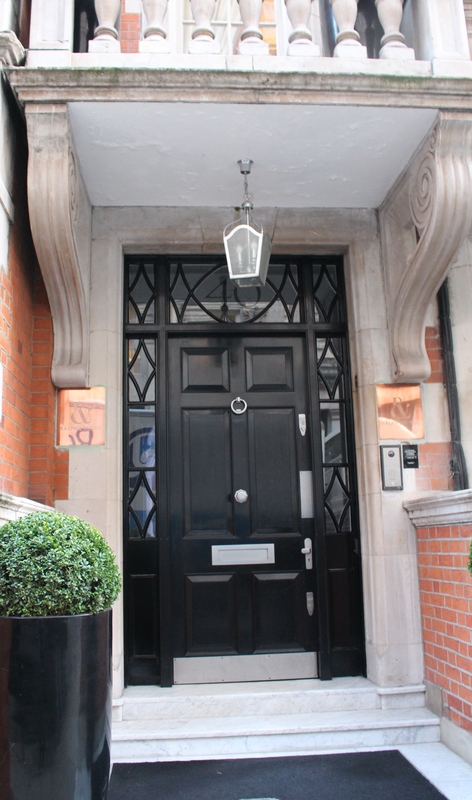 Elegant inset door makes for a fine entrance. 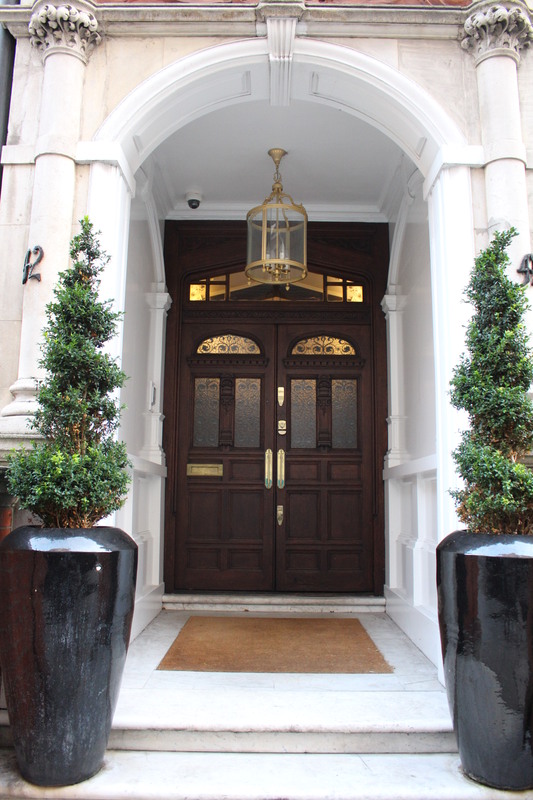 With so many types of doors surrounded by entryways worthy of ambassadors (and some live here! ), a walk in the Mayfair section of London may be in order. 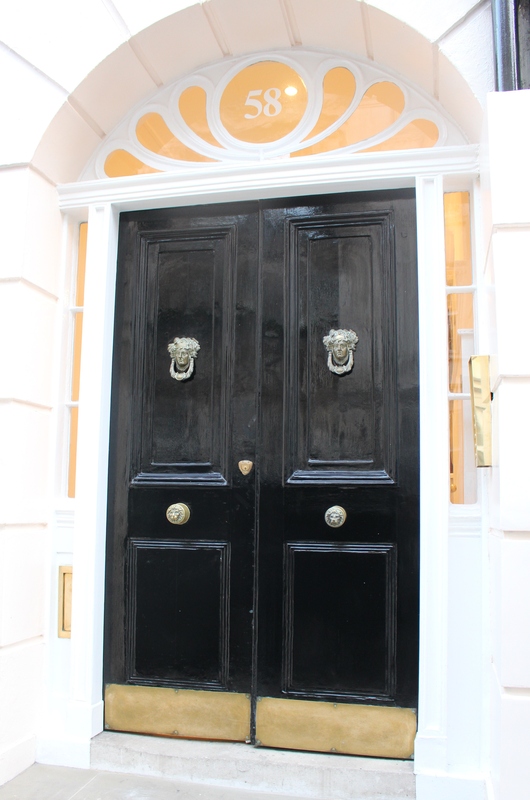 It’s a place where variety reigns but uniformity is the gold (or, should we say, black) standard for doors. For more doors, check out Norm Framton’s site: Thursday Doors, January 12, 2017. It’s a welcome site to see! 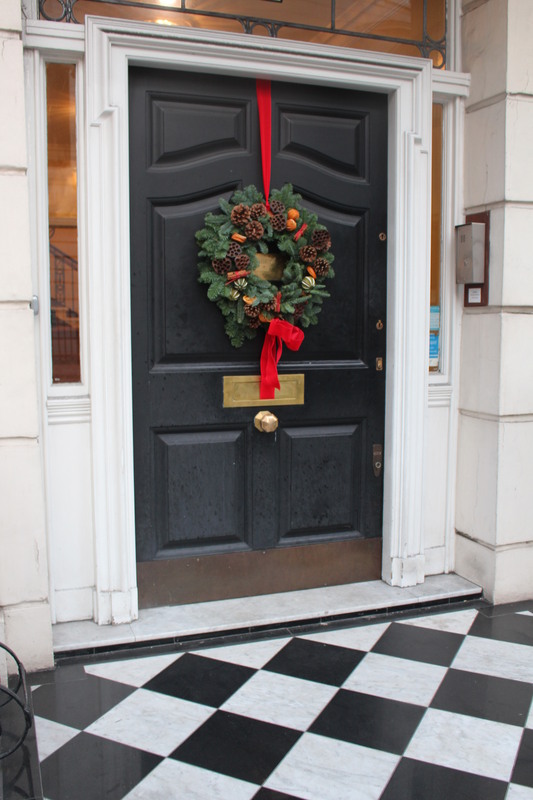 This entry was posted in England, Travel and tagged doors, Hunter boots, London, Norm Framton, Park Street, Thursday Doors. Bookmark the permalink. Janet, you’re right that they are all gorgeous. And, for some reason, the doors seem tasteful yet not over the top. Sometimes flaunting takes the form of funky doors or gold doors, etc. But I really prefer this simple black look with or without the ironwork. All good, I guess! Terrific collection of door photographs. Those sculpted trees are quite something! You are so right! This area held a lot of gorgeous adornments. Thanks for taking a look! Well, I was tempted to knock on the door. But when they would hear my country bumpkin accent, I might have gotten that shiny, black door slammed in my face! Would be fun to try, though. Oh, the really, really do. So tasteful, especially in this area! I agree. I could move in tomorrow! Thanks for the comment and for the lovely challenge. It’s fun to see the doors people submit. Great collection of doors! Like them all. Thanks for taking a look. They are all pretty — couldn’t pick just one that I loved best. interesting = wonder if they were required to all be black? regardless, some very handsome doors! You may be on to something. Maybe it’s like a historic overlay. Whatever it is, it was tasteful and beautiful! Doors are always a great motif, aren’t they? What a great idea for a post!! Loved the photos! Thanks for the compliment, but it’s actually Norm who should get the credit. 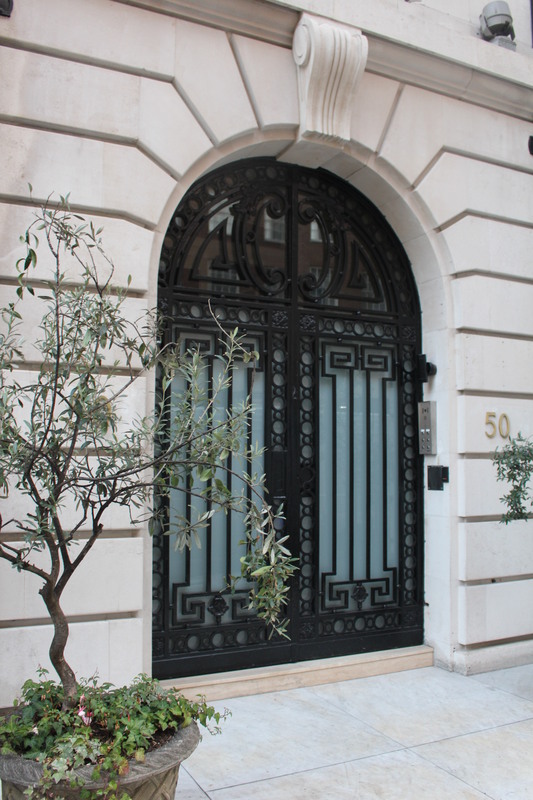 He has a blog challenge each Thursday — people post pictures of doors. This is my first time to post, but I have lots of door pics now!!! 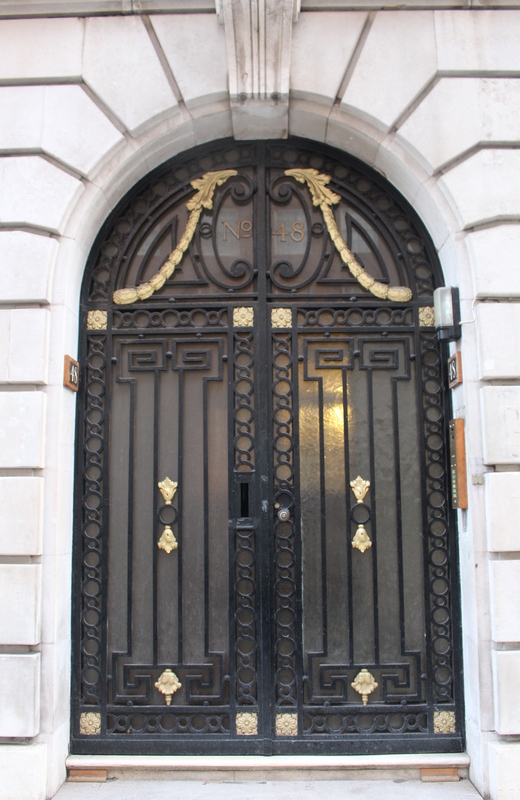 “What splendid doors” said in a Mayfair accent! They are so elegant and I expect they open onto prime real estate.. lovely to see from afar! Me, too, Cindy. And the surrounding concrete, block, stone, or whatever you call these materials. There was a lot of thought, talent, and money poured into these places. Loved ’em! Love doorways…. and this are esp decadent! So true! These are luscious doors — so dreamy, in fact, I stood in front of some of them too long. But there was so much to see and point out!!! Thanks for your comment!